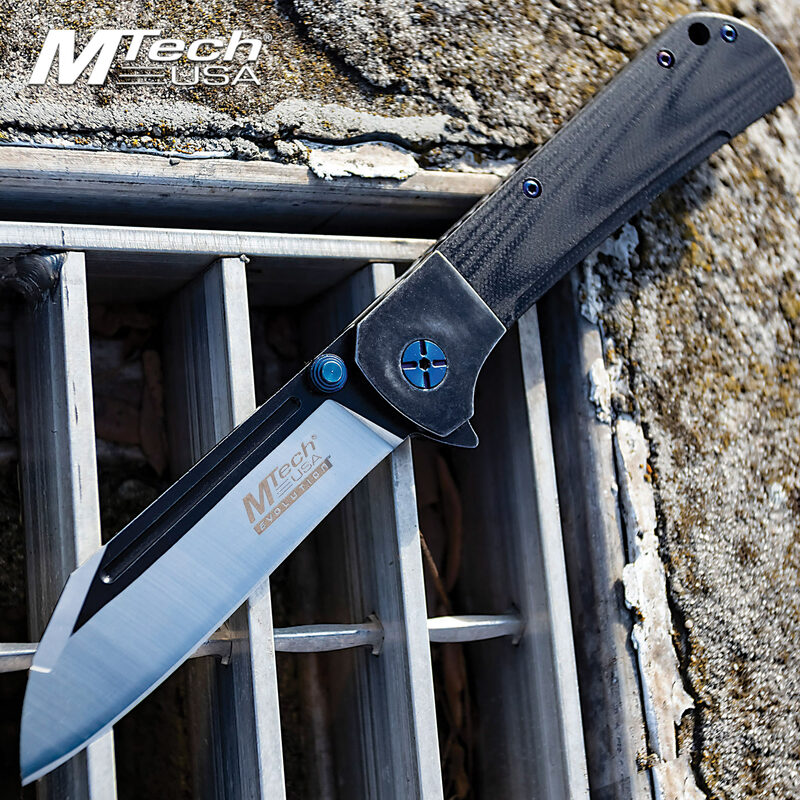 The MTech Evolution Black Pocket Knife will rank everyday carry status when you hold it in your hand and feel how perfect it fits and opens. It has a 3 3/5” 8Cr13 stainless steel Wharncliffe blade with a thumbstud to help deploy the ball bearing pivot for opening. The stainless steel handle has black G10 handle scales secured with metallic blue screws and it features a lanyard hole. The 8 1/10” overall, frame lock pocket knife is 4 1/2”, when closed, and it has a sturdy stainless pocket clip for ease of carry.